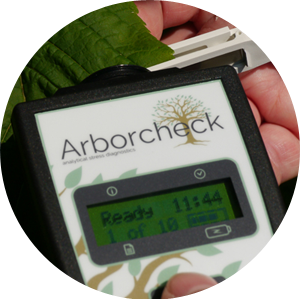 Arborcheck is a collaborative venture between 3 UK based companies. The largest supplier of containerised trees in Europe with more than 160,000 individual trees from over 300 different species. The Nursery Benchmark Database is compiled from over 600,000 individual measurements taken since 2009 which forms part of Barcham’s intensive tree health and biosecurity programme. Research arm of the world’s leading scientific tree and shrub care company under the guidance of Dr. Glynn Percival. 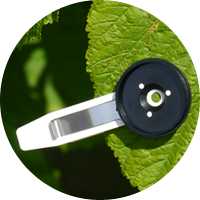 A team of researchers from Bartlett meticulously measure the Photosynthetic Efficiency, Vitality, Chlorophyll Content and Electrolyte Leakage values of the Barcham stock and using this data, compile the Nursery Benchmark Database. World leaders in the manufacture of scientific instrumentation that has been used globally in both plant and biomedical scientific research programmes for over 40 years. 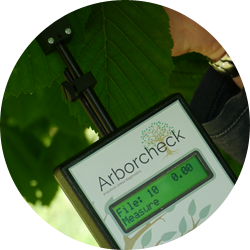 Hansatech Instruments design and manufacture the Arborcheck instrumentation and develop the Arborcheck App and Report Generation Software.